Search Results for "indian cooking"
Cooking Indian Pancakes in Street Cafe for Breakfast. Closeup. 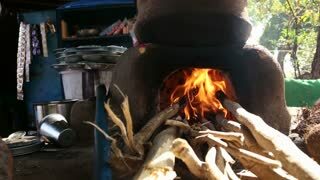 Indian cooking on open fire stove. JODHPUR, INDIA - 5 FEBRUARY 2015: Indian man smiles while cooking samosas. 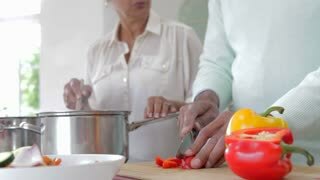 Woman Stirring Hot Lentil Soup, Indian Cooking In America. An Indian cooks Roti from scratch. 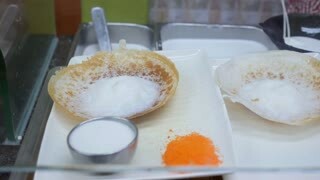 Indian breakfast crepes made of lentils and rice Dosa, close up. 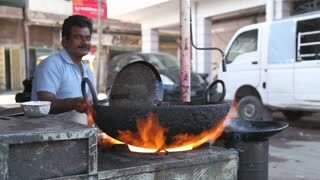 Cooking indian street fast food outdoors. 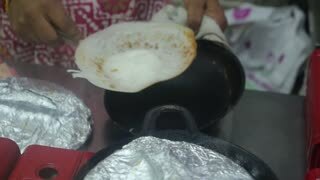 The cook bakes pancakes on a preheated oven and fills it with rice and spice filling. An unidentified Indian woman cooking food in traditional Indian style in village.